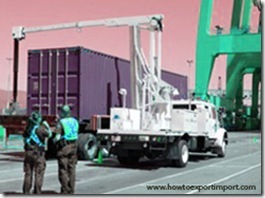 An appeal to CBP not to charge VACIS exam fee under goods not detected contraband. Roy G.: On 17 May 2013 It is a good idea to examine incoming containers. HOWEVER this is part of customs and border patrol's duties. It should be covered by the import duties that we the importer pays all the time. Any extra should be the responsibility of the government. It is grossly unfair to in effect fine the importer for doing nothing wrong. Further, to make us pay storage fees for not clearing that which we may not clear??? How does this make any sense. One container was sent for xray and I was required to overnight courier my payment for the cost. The following day I was informed that the xray machine had been out of service and that I had to send another check for transporting the thing again - and again by courier. It starts to smell like theft to me! admin: On 31 May 2013 Request all to take up this matter with CBP, in turn government of US. Nick M: On 13 June 2013 CBP does not actually charge for the examinations. The private companies that are contracted by CBP are the companies that charge for their services. The exam is taking place, under the instruction of CBP, whether they find contraband or not and need to be paid. The US Gov't will not "absorb" this cost, as it also would mean the average tax payer is absorbing costs for your import. That is not really fair. Code of Federal Regulations (Ch. 19, 151.6) specifically states that CBP has the right to examine cargo and that the importer is responsible to bear the costs associated. It is the responsibility of the importer to know and understand these rules. I recommend you speak with a licensed Customs Broker. Josh C: On 24 June 2013 These exams and holds are fairly ridiculous. 1. My company imports containers of granite and marble, and over the past year, approximately 1/4 of our containers have been held and examined by Customs. It is amazing how our containers have been randomly chosen 25% of the time! Oh, and they have not found our goods to be contraband any of those times. 2. Since I am paying for them to conduct these exams, I would like to receive a copy of the conclusions they come to, as they must file some sort of report explaining why and what they have done. 3. Nick M, you say that "CBP does not actually charge for the examinations," but rather it is the "private companies that charge for their services." I do not dispute that fact. However, you also say: "The exam is taking place, under the instruction of CBP, whether they find contraband or not and need to be paid." Based on what you wrote, then, the CBP orders for its own exams and these exams must, then, be paid by someone other than CBP. Who is "charging" me, then—the Code of Federal Regulations? 4. Just because there is a rule, law, or code with which people do not agree does not mean that these same people do not know or understand the rule, law, or code, it generally means that they believe it to be unfair or unjust or arbitrary and / or capricious, or, as in this case, retarded (in the literal sense of the term as described by Merriam-Webster). Alice: On 03 July 2013 I totally support Josh C's comment on this subject. 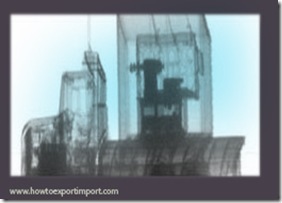 If no contraband found, why should importer suffer??? Reza T: On 31 July 2013 I also totally support Josh C's comments. I paid over $2000 for CET exam recently! It is absolutely unfair to charge the importer if no contraband found. It's like the court charge the suspect for all expenses even after the verdict is "Not Guilty"! Tammy S: On 07 November 2013 Just an idea. I know these exams are costly and causes delays for everyone but what if every import container goes through VACIS/NII exams and is charged whether or not there is contraband detected? Would that make it more fair for everyone? Just like the airport, everyone goes through the security checkpoint and your air fare includes the security fees. Would that be a solution? But I think the cost of a VACIS exam is too high. I don't know how much it cost to operate a VACIS machine, but I think it should be a fair amount where it doesn't cause a financial burden to businesses. Charlie: On 29 November 2013 I agree with Josh as well. I was just forced to pay $3,500 for two flexi-containers (bulk, non-haz chemical) to enter x-ray and physical exams. There is no reason these containers should have been flagged, as high volumes are imported into the U.S. every week - so I'm assuming this was at "random". I'm guessing the private companies who handle the transportation and private warehousing (where the physical exam takes place) absolutely love this because they get to charge an non-negotiable rate. It almost seems like there is collusion going on at the Long Beach port. These are very unfair random fines and it seems like it's happening more and more lately - just another hidden government tax I guess. I get why these exams need to take place when needed, but the charges are way to high and punish importers for no good reason! Peter Osborn: On 30 November 2013 I wonder if it will make a strong case against the Government if I decided to sue. My container was put on customs hold even though its for export and is leaving the USA for Africa. Jill Nolde: On 05 January 2014 As a new importer, your comments have made me feel a lot better. I "only" lost $120 dollars when they cut into a leather motorcycle suit that we imported from Pakistan. I understand that things from Pakistan should probably come under more scrutiny, but it was from a large leather company and don't they have drug sniffing dogs for that? Then, to make sure that we couldn't repair it, they wrote in ink on the leg. They also had the nerve to charge us storage because the New Orleans port is "understaffed" (per our broker.) He also advised us to not question anything or they would make our lives hell. It does feel like government extortion! Being a new business on a shoestring, I guess I'll take the broker's advice. Thanks for helping me vent! imran: On 08 January 2014 Can't they do the exam little faster. My shipment came in on the 31st of Dec and not it is 8th Jan. and we don't now when will the shipment be available for pick up. Not only we paying for exams fees but also loosing the money because we don't have the goods. Bose: On 11 January 2014 Josh C comment was valid one. They can do the exam faster and release containers without any delay. Sabrina L: On 15 January 2014 Does anyone know if the samples in the container will pass the exam? Did not show the samples on the documents. Importing vinyl planks, but put 4 chairs in it, and some ceramic tiles. Aldo: On 20 May 2014 I am exasperated. My family's 20 year old furniture and clothes (which is the same I shipped to Hong Kong in 2005) was held for Vacis, CET and USDA hold. I used a relocation company who’s USA agent had misplaced the export declaration. That and the fact that the agent’s person in charge was in and out on maternity leave during this process may have prompted this search. It has been two weeks and no one has told me how much I need to pay. The agent’s paperwork says that it may cost me $2,500 for a 20-ft container. I don’t have a job and already paid a lot of money to move my old stuff door to door. What do I do?? Do I have recourse against anyone? Chuck: On 24 May 2014 We are a new company and have recently imported 10 containers of stone tile from India. 9/10 of our containers have been held for exam. Not only that, because they are back logged they were not able to finish some of the exams before our free time was up and we ended up being charged demurrage charges on top of the exam fees. This is proof that the exams are not random. This really hurts us because of the added costs. We also have had damaged goods because of these exams, and no one can be held liable for it.. Very Frustrating! Something needs to be done about this..
Nigel: On 16 July 2014 This just happened to my Fiancee's personal effects... I'm shocked it works this way. Seems to me that the costs should be spread over all imports regardless of which get scanned and which don't. That way, you'd know the cost going in as opposed to this crazy lottery system where some innocents pay everything and some pay nothing. William : On 18 July 2014 I was blow away last week when my forwarder gave me a $1700 bill for x-ray exam. My first reaction was the forwarder was ripping me off. Come to find out my government is ripping me off. Really $1700 dollar x-ray for a container full of jewelry boxes?? I own a 25 year old manufacturing/import business and supply many top retailers. I still struggle to make a nice profit after I pay all my liabilities. Charges like this, which there are many of, just make me want to toss in the towel. Best place to be is poor or 1%... not worth being in the middle. Tammy: On 21 September 2014 Same thing is currently happening to me right now. Forwarding company sending me an invoice for "VACIS and intensive inspection". I have been on the phone with CBP a few times regarding this and they assured me that there is no fee for the VACIS (x-ray) itself so I want to know why the invoice says I'm being charged for the x-ray portion. I read on the government website that the inspection could run a few hundred dollars. I would say my invoice for $1,100 is way over the "few hundred dollars" mark. In order to make me feel better, the forwarding company told me the actual charge was $2300 but since my shipment was part of a "groupage" (which is a cheaper way to ship vs. solo like we had paid for), they were only charging me based on the volume of my own contents within the container....ugh. The CBP informed me that Customs does not charge anything for x-ray but that a third party in the warehouse, where the unloading and reloading of goods happens, is the one that charges for the labor involved for inspection. My argument is what happens if they repack recklessly and items become damaged due to the additional "handling" that goes on? I totally agree with this article that if nothing is found in your container then you should not have to pay the "inflated" fees for inspection especially since it's not really an "intensive" inspection. All the shipping companies told me that what basically happens is that they basically look at an inventory list and ask to see a few boxes at random........search over. Doesn't make any sense why I have to pay over $1,000 for this to happen. Just another way to generate revenue and get their hands in my wallet. John: On 30 September 2014 I am importing two antique vehicles in a 40ft container and have been flagged for BOTH the NII x-ray exam and the CET exam. I have been told to expect a bill for over $300 for the NII and over $2000 for the CET. These exams cost as much as the valué of the vehicles!!! My question is this: Why are BOTH exams scheduled before the container even arrives? I can see the NII LEADING to the CET exam if they saw something questionable in the images. But to schedule BOTH exams in advance seems a little punitive. If they are gong to take more than $2000 out of my pocket for the full CET, why do they need the x-ray too? One inspection should escalate into another IF NEED BE!!! Karen: On 09 October 2014 Donna asked where to find a list of customs hold codes. I refer to this, which I found by just googling for a list. http://www.bmsi.com/bmsi/doc/misc/camir/app_f.pdf And I agree with everyone about the exorbitant fees. Not the x-ray fees so much, but the fees for intensive/CET exams. They are outrageous. And if there is a backlog or lack of staff, it can takes several days for the exam to be completed. Serge: On 19 December 2014 My container (20') arrives in New York in 3 days, with a classic car inside. An intensive inspection would cost half the value of the car I'm importing. This is just ridiculous. I can't believe it. Pay, pay, pay... that's what I do. Art Haddow: On 02 January 2015 Here is the real truth on the volume of exams. Customs says it is about security. That may be so but it is important to note that for a company to quote having an exam center at the port they would have to have some kind of guarantee of quantity of containers to make it feasible to have the exam center. Customs denies any guarantee but I for one do not believe this. I can guarantee you that no one in their right mind would ever rent a warehouse, hire the crews and office staff, buy the trucks, pay the insurance on the hope that there might be enough business. There has to be a quid pro quo on this.Customs knows that if they do not inspect a certain number of containers whether or not there is anything suspicious, there won't be anyone there to inspect the one they really need to inspect. Serge: On 05 January 2015 Totally agree with you Art Haddow. Well, my classic car in a 20' container made it to New York. I've been selected for a VACIS, AND an intensive exam. Since the container was sent to the exam facility on the 31st of December, and that between then and now we had a holiday (January 1st), a day between a holiday and the weekend (who works that day, right? ), then a weekend, I'm just accruing storage fees and my total bill is getting bigger every day. I'm not importing a Bugatti or a Ferrari Dyno. Just a plain 1975 Peugeot. The total cost of this authorized rip-off will probably be close to the value of the car. At least when you are robbed by a thief, you can turn to your insurance. When you are robbed by your government, what do you do? Amandeep Singh: On 18 February 2015 Hi All We import clothing wipers from India. My 10 out of 11 containers were taken for VASIC Exam.Last time was Feb 2015 they hold my container for exam, they kept it for 2 weeks and sent invoice for $2000 and I have to pay other $1000 to Shipping company. Moreover they damaged my goods for worth $3000. can some suggest me, Is there any remedy for this? claire: On 19 March 2015 My car was shipped from the UK, I was told by the shipper that I may have fees based on my occupancy of the container IF it was inspected. I have now been told I have to pay $902 for a contraband inspection and an agricultural one. Both ludicrous as no contraband was found and my car had been nowhere near farmland or any type of agricultural contaminant. I am so glad I found this website. Thank you, at least I know I am not alone. I intend to petition my congressman and senator about this literal robbery. Eric H: On 27 March 2015 I suffered the same as everyone above and I totally agree these charges are ridiculously unfair. CBP seems like a warm bed for government corruption! is there an importer union where we can hire an attorney to file a class action suit against this government agent? Stephen Wheat: On 17 May 2015 THIS IS A TOTAL MAFIA-BASED IDEA where the importer pays PROTECTION MONEY for everyone in the country. And the exam companies that are basically given a license, probably by a corrupt politician the owners have paid off, to charge exorbitant fees that cannot be negotiated or bartered or disputed in any way. TOTAL SCAM. The CET exams are not based on what they find in the xray part of the exam. they are FLAGGED and scheduled for the exam before the xray on a random basis having NOTHING TO DO WITH suspicion. John Adele: On 10 July 2015 I think the best approach should be charging a flat $10 or so, as VACIS exam fee to every single cargo, since every one is susceptible to be picked randomly anytime. The found, collectively contributed will be used to pay for those exam charges. Michelle G: On 03 February 2016 You have to understand whom you are paying and why. As stated above, CBP reserves the right to examin any import at any given time...whether random or witch use. Once an examination is ordered, a bonded trucker has to drive to the seaport, wait on line, hook the container and drive the container back the the CES. it is this service that you are paying for. The behind the scene actions necessary to complete the task. As an importer, you must comply and absorb the additional cost associated with this service. Arnaud C: On 20 May 2017 I faced the same ripped-off from the CBP. I am relocating and shipped my household goods in a 20-foot container. My goods were only clothes, books, dinnerware, and furniture. How suspicious is that? It was the second time I was shipping household goods. I am just an individual relocating. They have all my information so they know where I live and what I do for a living. I have to pay $962. If the CBP decide to examine any import, it is their problem, not mine specifically if they found no contraband or else. It is nothing else than an organized scam and a robbery.